Don't Miss This Opportunity to Apply for Funds! Note: The above educational opportunities are approved by CREIA for CECs. Members should always inquire with outside organizations as to whether CECs are CREIA-approved prior to taking the education. Alternatively, one may apply and pay for CECs. Thank you to the 2016 Conference Exhibitors! After a long and vicious presidential campaign, we have a new president. The future is uncertain. It's going to be an interesting four years. Let's remember at the end of the day, we are all Americans and live in California, the greatest state of all! I want to personally thank everyone who attended the CREIA Annual Conference in Burbank. The conference was a huge success. Stay tuned for details on our next conference in Burlingame in the Spring! Also, just a reminder that ASHI is having their Inspection World in Las Vegas on January 22nd - 25th, where CREIA will be exhibiting. I hope to see you in Vegas. 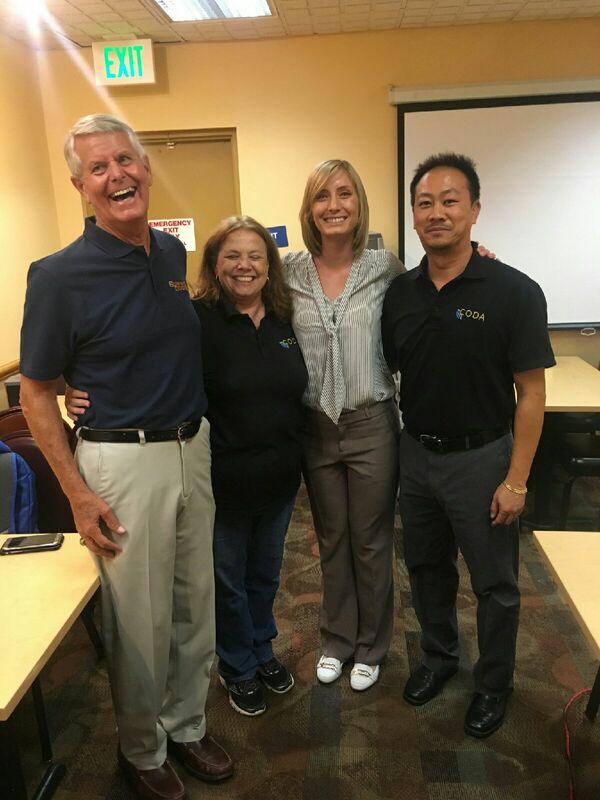 CREIA is continuing to work with the California Earthquake Authority (CEA) to become a certified trainer to offer seismic inspections for members who wish to do so. We are also checking into the feasibility of becoming partners with the Department of Energy (DOE), however, CREIA Certification qualifies those interested in being a Home Energy Score Assessor. See the "How to become an Assessor" page for the Home Energy Score on the U.S. Department of Energy Website (see "In Development" below for more information). 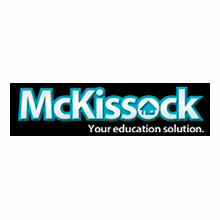 Skip Walker is currently working on a NHIE exam prep class with Dave Pace, Neal Muckler, Sam Jabuka, Rich Zak, Greg Terry, and myself. 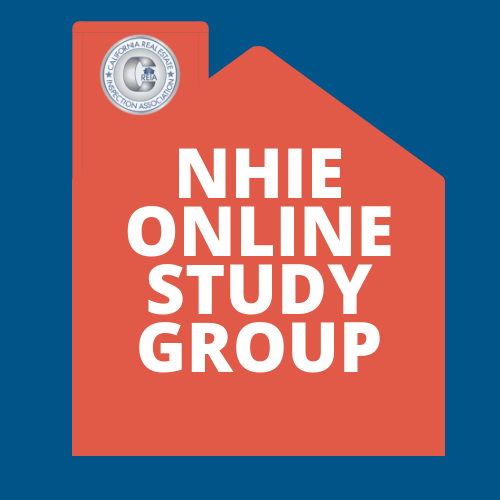 It is looking to be a three-day class (with group inspection) that will help Associates prepare for the NHIE examination. This program is in the infancy stage, but promises to be a great opportunity for Associates to make a step toward becoming a CCI! More details to follow. 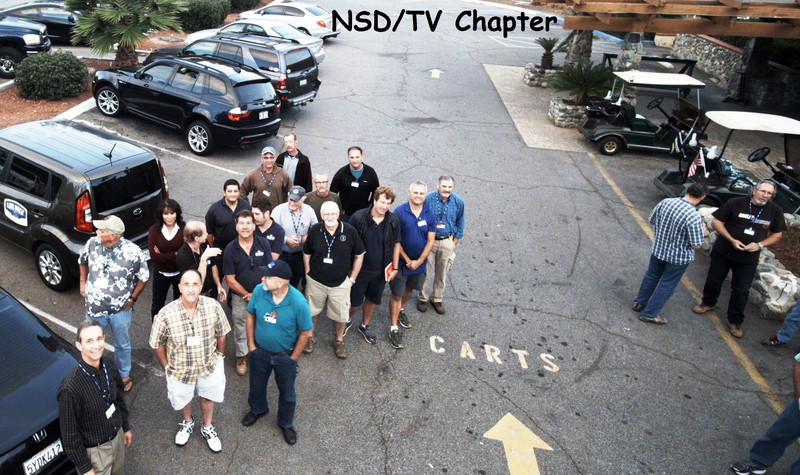 If you are an Associate, please try to attend all of your chapter meetings and get to know the guys in your area. This is one of the biggest rewards and benefits of membership! As we head into the holiday season, business tends to slow down a bit. Try to enjoy time with your families and make the best of the extra time. On behalf of the Board of Directors, Happy Thanksgiving to you all. The California Real Estate Inspection Association during CREIA's 2016 Annual Conference: Celebrating Our Heritage and Ensuring Our Future: CREIA Celebrates 40 Years held in September in Burbank, honored "CREIA's 40 most influential people in the inspection profession." The honorees have over an extended period of time, contributed an extraordinary amount of time and effort to CREIA and to the betterment of the home inspection industry in general. 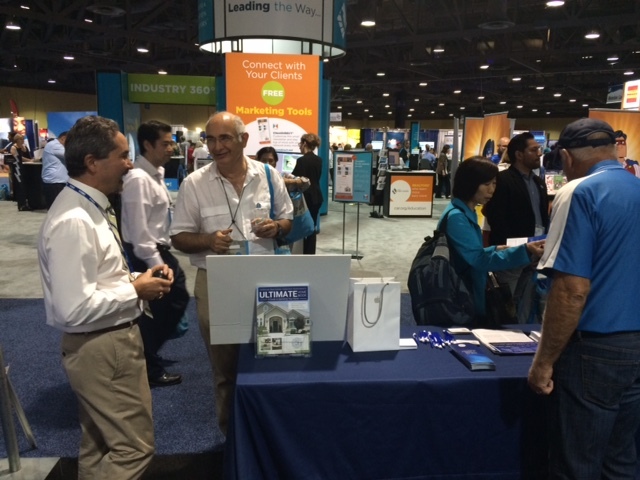 "CREIA 40: What CREIA has meant to them and the inspection industry." The CREIA Membership Committee is currently reviewing CREIA's Report Review and Ride Along forms to ensure they are up-to-date and in-line with CREIA's Standards of Practice (SOP). New forms will be sent via email to the membership and posted in the Member Center (e.g. member landing page when logging into the CREIA Website with username and password) and Leadership Center when updated. CREIA Membership Committee is a group of MCIs and CREIA Certified Trainers who spend countless hours reviewing membership documents, membership certification processes, training members, and reviewing reports submitted by Associate members on their way to certification. Ernest Everett wrote in about the Orange County's September Toolbox where special guest, Wesley Simmons, owner of Sunwood Garage Doors, presented on how to correctly inspect garage doors. Debbie Simmons, his wife, is the current president of CODA and also works at Sunwood Door. Debbie spearhead this presentation for the Chapter. 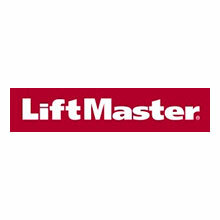 Thanks also to Justin Kha with Miller Edge who talked about the new UL regulations and Laura Kaper who talked about Liftmaster garage doors. At our October Chapter meeting, 10/13/2016, the Pre Meeting presenter was Michael Shelhart, a Real Estate photographer based in the Temecula Valley area. By way of introduction to his subject, Michael gave us some brief insight into Real Estate photography and some methods and techniques involved in creating the flattering photos of the homes we see in the MLS listings. 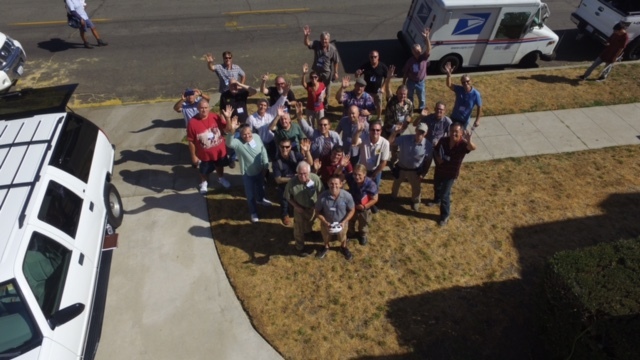 The presentation then went on to the use of Drones, including drone etiquette, FAA regulations, training, techniques, GPS capability and Video & still drone photography. 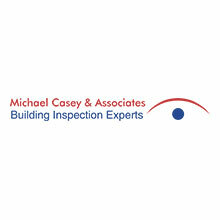 Michael gave us some thought provoking information on the advantages and limitations on the use drones as an inspection tool, to evaluate and photograph roof surfaces, chimneys, roof penetrations, flashings and finishes. The presentation was concluded with a practical demonstration in the parking lot and adjacent area, including 'fly-bys' and oblique aerial photographs, including the attached group pic of the members present. A very entertaining and educational meeting. 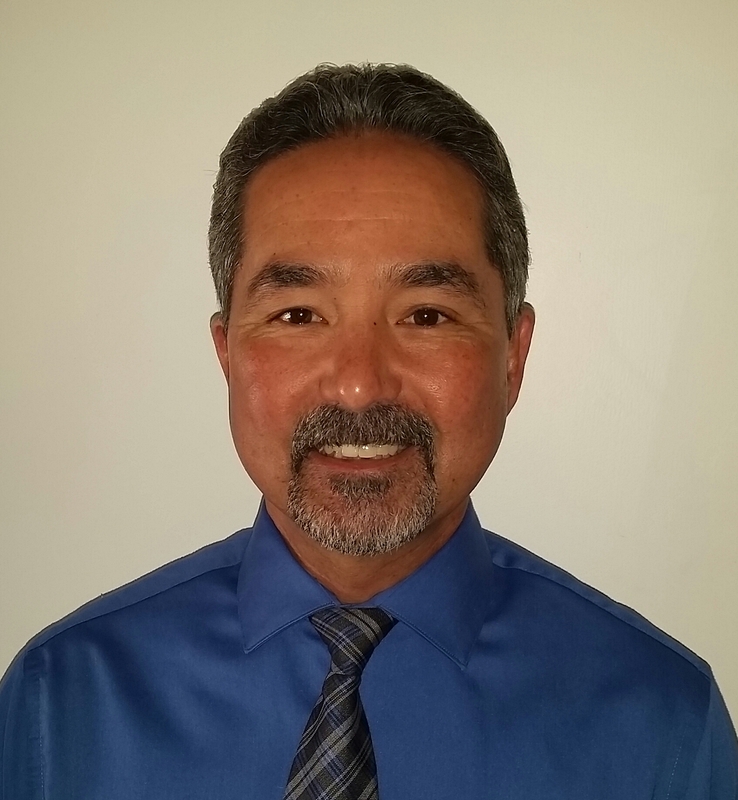 Thank you to Steve Carroll, MCI, Chair of CREIA's Public Relations and Marketing Committee who once again spear-headed plans for CREIA's participation and exhibit during the CAR Expo. 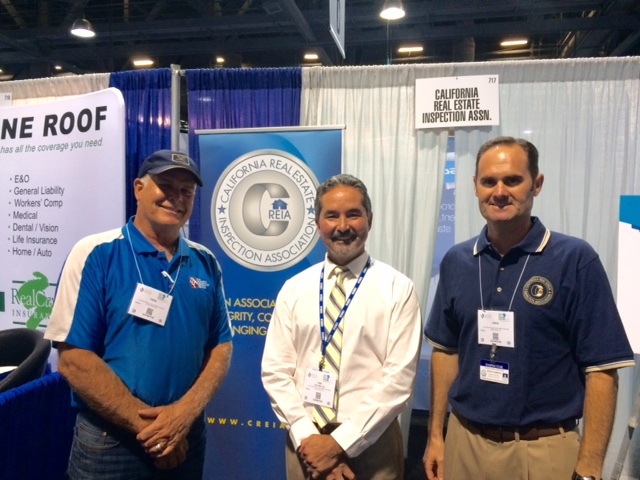 CREIA had a solid presence at the 2016 California Association of Realtors Expo September 27 - 29 in Long Beach. Our booth placement was on the main isle directly across from the CAR booth. Foot traffic and exposure was very good. A special thank you to Brandon Glass (OC Chapter Secretary) for stepping up at the last minute to cover the closing shift due to a cancellation. I would also like to thank Bill Bryan (OC Chapter Vice President) for his efforts in getting the word out to the OC Chapter. Without the dedicated members mentioned above this event would not have had the exposure and impact it did for CREIA. In addition to participating at the CAR Expo, CREIA regularly sends press releases on safety issues and most recently the new water saving requirements, and will continue to do so on a quarterly basis. The press releases are targeted to the California real estate and home buyers/sellers, but have yielded an impressive online pick-up across the nation. 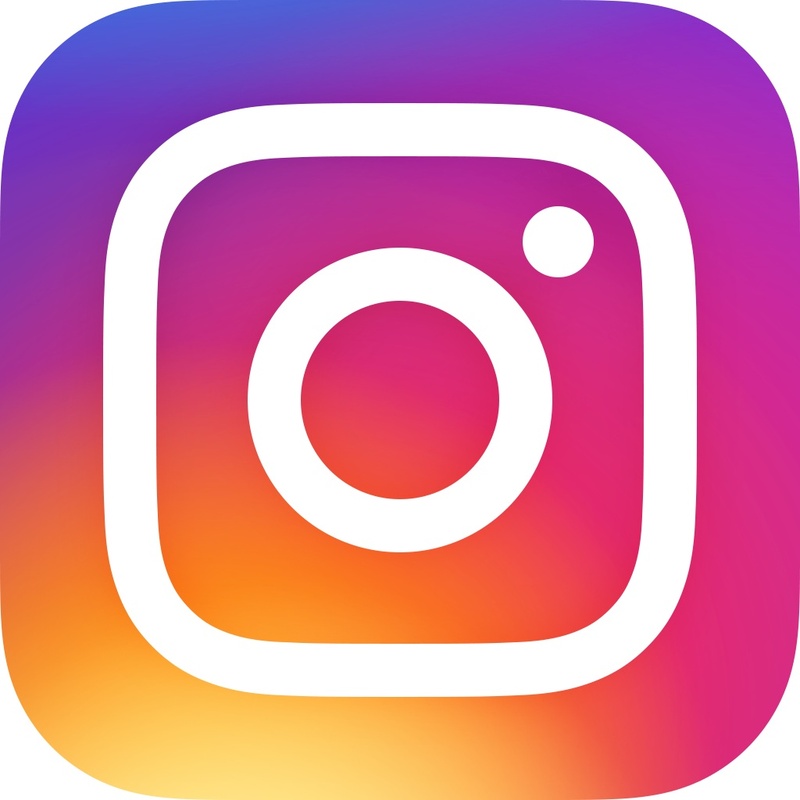 Finally, CREIA is stepping up with social media. Give us time to get things going in this regard and stay tuned for developments! Congrats New CCIs & in some cases - Welcome Back to CREIA! The following members have received their CREIA Certified Inspector designation in 2016! The 2016 CREIA Convention is now behind us, but we were catapulted forward by one of CREIA's most successful events in years! This happened as a result of the hard work of Sam Jabuka, Inspector Fellow, who has put in literally hundreds of hours over the years planning CREIA's Conferences and authoring the conference procedures for CREIA. Sam is once again at work with the 2017 Conference Chair, Bob Guyer completing the agenda for the 2017 Annual Conference. 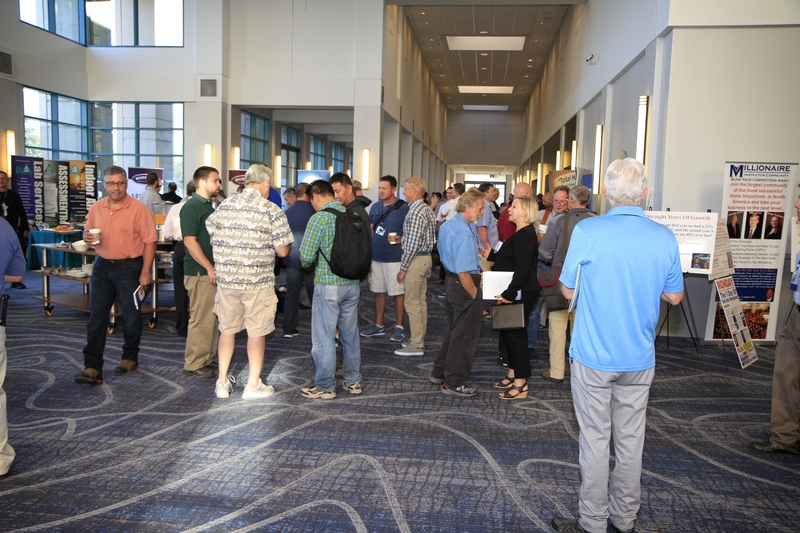 Attendance exceeded expectations with approximately 275 attendees. Classes were full, and in some cases, became standing room only! Many gathered on Friday for a CREIA Standards of Practice Group Inspection. Many thanks to Bud Hayes, Bob Guyer, Drew Tillman, Jack Gironda, Tom DeSpain, and especially John LaForme who volunteered his home for this event! 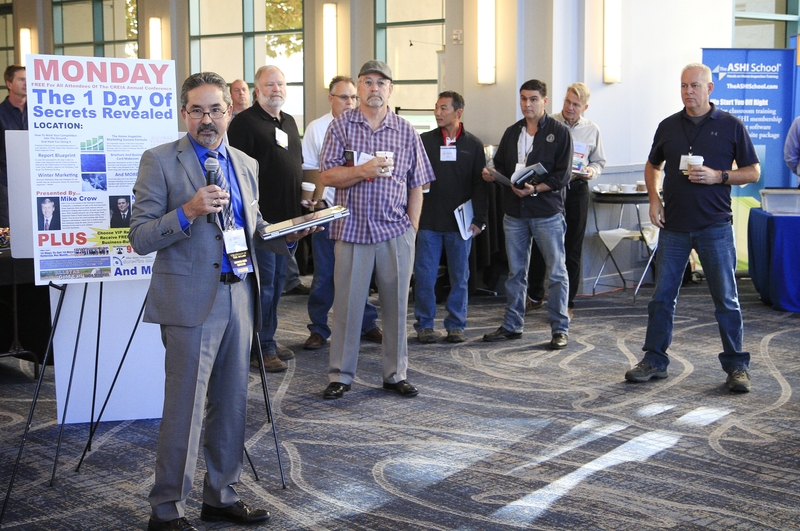 Attendees and exhibitors were welcomed by Ken Collins, CREIA's Chairman of the Board. 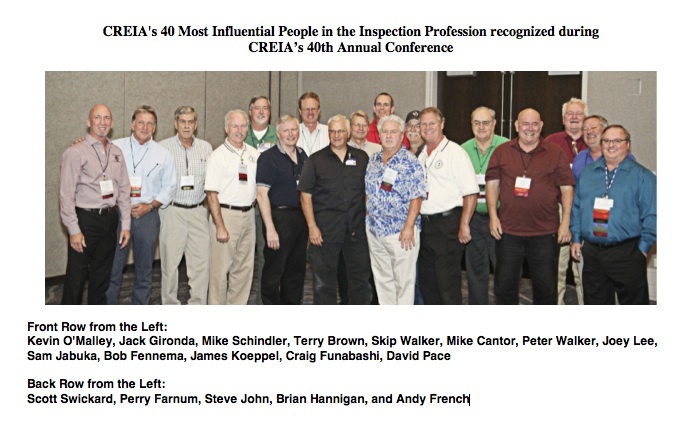 CREIA honored and celebrated Michael Schindler with the John Daly Award; David Pace and James Koeppel received the Jerry McCarthy Inspector Fellow Award; and Scott Swickard and Steve Carroll were recognized and awarded the Bob Reed Inspectors of the Year. Mr. Carroll was also the recipient of the 2016 Chairman's Award from David Pace. Additionally, the Delta Chapter received the Chapter of the Year award and as mentioned above, we honored and celebrated CREIA's 40 most influential people in the inspection profession! Sam did a superior job with this conference. We should have one like this EVERY YEAR! The problem with a conference with this many great topics and speakers is that there were always cases where you wanted to be in two places at once..... a good problem - but still a problem. Loved it! Looking forward to next year! CREIA's 2017 Annual Conference: Home & Commercial Inspection Education for California Inspectors will be held May 4-7, 2017 at the Crowne Plaza in Burlingame, California. Education will be geared to Sharpen Your Skills and Broaden Your Business Opportunities, FLIP Property Disclosure, and Cover-Up Issues. Welcome to CREIA New CREIA Affiliate members! 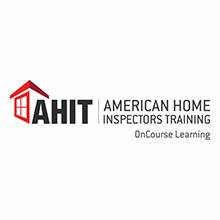 Allied Business Schools is an online, accredited education provider offering home inspection training for new inspectors and Continuing Education Credit. With more than 25 years in the real estate industry, Allied provides an in-demand, flexible learning option for today's professionals that includes unparalleled, live student support every step of the way. 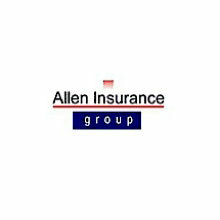 At All Pro Coverage we don't charge additional fees on admitted insurance carrier policies. you only pay what the premium is plus applicable CA taxes. 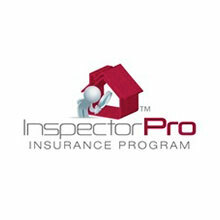 Get your inspectors E&O quote by clicking here. 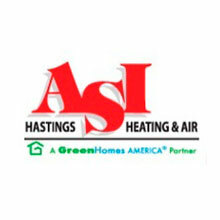 Green Home Solutions of No. 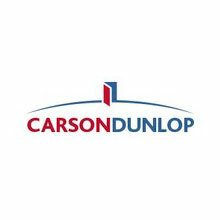 California - Justin MacNaughton - Mold & Odor Solutions... Naturally. Green Home Solutions is a nationwide company now available throughout the Greater San Francisco Bay Area and Northern California. 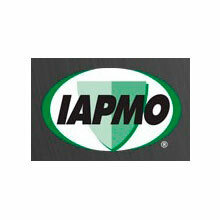 We provide Mold and Odor removal and remediation that is Safe, Fast, Affordable, and Effective. Guaranteed! 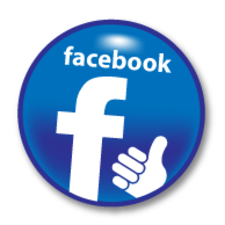 Green Home Solutions of East Bay - Howard Oliver - Mold and moisture assessments (MAMA) /indoor air-quality testing/ mold and odor remediation. 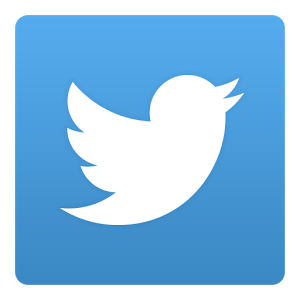 My name is Tom Marshall, I own TWM Roofing, Inc. and strive to respond to your phone calls and emails promptly. You can call me directly from start to finish. 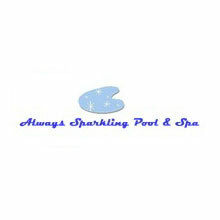 We are a family business with over 30 years of experience. We specialize in affordable full roof installations, re-roofs, and maintenance of residential, commercial and HOA roofs. Tile, asphalt shingles and flat roof systems have been our focus for over 30 years. 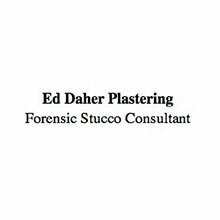 We are a full service roofing company from multi-unit complexes to single family homes. 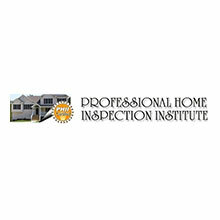 HomeInspectionForm.com provides inspection report forms, checklists, and software. Report Form Pro is our finest report yet can be used across any platform, including i-pad, iPhone, android phones, android tablets, Windows, and Mac. Our mobile app is totally stand-alone and doesn't require you to link it to a desktop or laptop. HomeHubZone is re-imagining how home inspection reporting software should work. Save hours recording information on-site and produce a report that will impress your homebuyers and increase your base of referrals. Only HomeHubZone provides a reporting process that matches how you work and significantly reduces clicks and keystrokes; Inspect room-by-room and report by system; Automatic cloud sync between mobile & web apps; Features to wow your homebuyers and realtors, like Smart Summary Pages, Recall Checking, Links to Appliance Manuals, and much more. 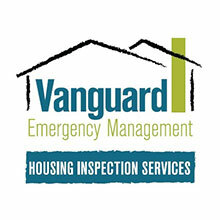 Vanguard EM holds a federal contract with the Federal Emergency Management Agency (FEMA) to conduct disaster housing inspections in the aftermath of large scale disasters such as hurricanes, tornadoes, severe storms, and earthquakes. 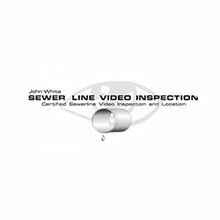 US Inspect - We deliver the best inspections in the country. 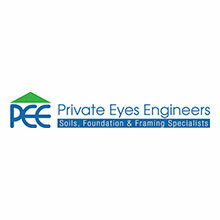 Our reputation is built on decades of honesty, integrity and excellent service to customers during one of their most important life decisions - buying or selling a home. 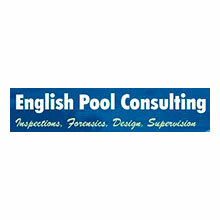 Knight Environmental Consulting performs comprehensive mold inspection, mold testing and laboratory analysis for residential and commercial properties. 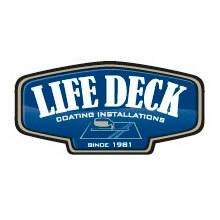 We serve many of our clients in the Los Angeles, San Francisco, San Diego and all of California. 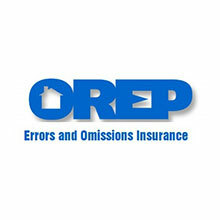 California-based OREP.org is a leading provider of errors and omissions insurance for home inspectors for over 14 years. 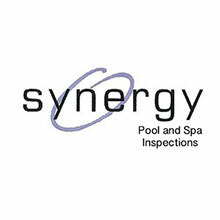 The coverage is Admitted (most states) and includes Errors and Omissions and General Liability in the base policy, along with many incidental coverages like pest, radon, commercial, HUD and VA Inspections (Including 203K), prior acts (for qualified applicants), agent referral, additional insured (franchises), pool and spa, mortgage field, energy rating and many other services. 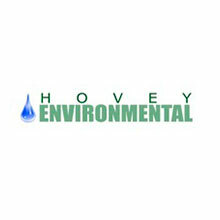 Mold and water testing coverage is also available. Chapter Leaders - Take Note! You Can't Miss this Opportunity! The Board of Directors voted to approve a $5000 Chapter PR grant fund for a new CREIA Chapter PR Grant program to assist CREIA Chapters in grass roots public relations efforts. Chapters can apply for grant funds for exhibiting and public relations activities. The PR Committee will receive the applications and issue grants to Chapters up to $5,000. 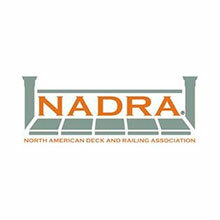 Apply for funding or reimbursement for a CREIA Chapter-branded pull-banner (as shown above in the Promoting CREIA section), CREIA Chapter-banded table throw, mailings to Realtor companies, exhibiting, etc. Click here to complete the CREIA Chapter PR Grant Application form. Q: What is the purpose of submitting Report Reviews? Where do I send them? What is the criteria? A: The purpose of a report review is to assess compliance with the CREIA Standards of Practice (SOP), Code of Ethics, the California Business & Professions Code 7195, and the CREIA L.I.D.E.R. (Locate. Identify. Describe. Explain. Recommend) method. The ten reports will be forwarded to a member of the report review panel. Of the ten (10) reports submitted, two (2) reports [one (1) of which will be a raised foundation dwelling whenever possible] will be selected by the report reviewer for review using the CREIA Report Review form. Should the first reviewed report of the two not meet the above standards, the reviewer will stop the review process and communicate the areas needing improvement to the Associate and ask the Associate to re-write and re-submit two reports for review. If the subsequent two (2) reports fail to meet the standards outlined above, an additional report review fee of $100 will be charged to the Associate and the Associate shall start the report review process from the beginning. If you are on your way to certiication and have a question, please email CREIA at [email protected]. 1. Create a Word doc or PDF listing the education taken over the year and upload it (in one file with any related documentation) directly in the CCI/MCI membership renewal form upon renewing your membership (similar to how ASHI members report their CECs). 2. Others prefer to upload CECs as they receive them, so they use the CEC Reporting online submission form accessible when you enter your username and password on the Member Center page (see in Quick Links in the Member Center and above in this eNews called CEC Reporting above). If CREIA chapters submit their meeting and/or toolbox sign-in sheets, staff will upload those CECs to member profiles. As well, if the member transactions folder lists CREIA full conference registration, that generally means the member obtained 20 CECs directly from CREIA. Please note that as you may know, re-certification requires 30 CECs and attending two chapter meetings per year. Twenty CECs of the 30 CECs needed for recertification each year may be "CREIA-approved" education and 10 CECs per year must be "CREIA-sponsored" education. CREIA accepts non-approved education, but the member is required to pay $10 per CEC. The CEC Payment form is also available under Quick Links in the Member Center. Login in with your username and password at www.creia.org. From the Member Center (member landing page) click on "Update Your Profile" located next to the "Hello my name is" section at the top, hover your cursor over "My Profile," and click on "View Transactions." Here you can view CEC reports have been submitted as well as other CREIA events or forms you completed. You can return to the Member Center if you venture away by hovering your cursor over "Members" on the main menu bar and clicking on "Member Center." A marketing tool brought to you in collaboration with Michael Casey and Nathan Thornberry. 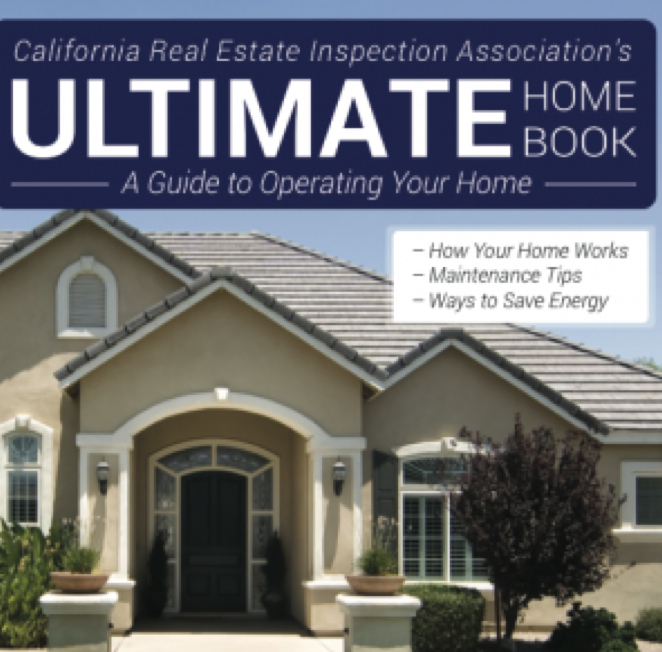 At $2.95 per copy, the CREIA Edition of the Ultimate Home Book is the best home owners manual out there! With beautiful images, great tips, step-by-step home repairs, and even more! 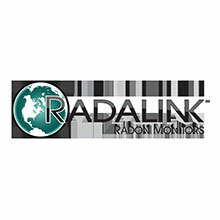 A great leave-behind or give away for clients. The book is on order now. Click here for details! The CREIA Board of Directors nominations and elections are coming up and many CREIA Chapters are about to begin their nominations and elections as well. As well, committees can always use extra hands! You can also earn CECs for volunteer service. Click here to review the CEC Guidelines. CREIA is seeking articles for publication in the Spring 2016 issue of the CREIA magazine! 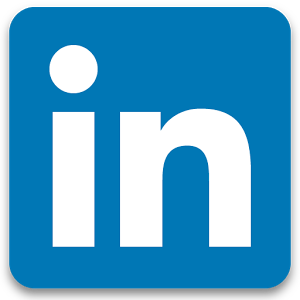 We hope you will share your expertise with colleagues by writing a(n) article(s). Please send your articles in Word via email with pictures attached outside of the article to Michele Hyson, Executive Director at [email protected]. We hope to receive your articles by February 1, 2017. 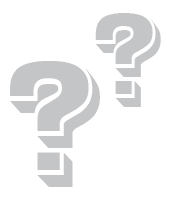 Do you have questions, ideas, or concerns for CREIA Board and/or Staff? You may contact the office at 949-715-1768 or [email protected], however, please note that we may need to seek your answers from committee or board members. In some circumstances, email may yield quicker results. Please click here to send your email. If your question is technical in nature about home inspection, it could already be answered in the Technical Information Exchange (TIE). The Board of Directors approved to move forward with a proposal from the California Earthquake Authority in the development of a CREIA seismic inspection credential. A task force has been formed to plan and move this program forward. In addition, CREIA Certification qualifies those interested in being a Home Energy Score Assessor. 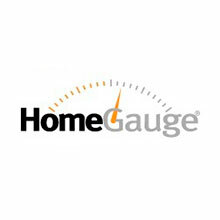 See the "How to become an Assessor" page for the Home Energy Score on the U.S. Department of Energy Website. Since DOE Partners must be able to score at least 500 homes a year and fulfill quality assurance requirements in order to participate in the program, the CREIA Board is considering all requirements to decide on the feasibility of the program. Nominations are now being accepted for the following CREIA Awards. Please send in a nomination for an award, along with a brief bio of the nominee to [email protected]. Winners will be announced during CREIA's 2017 Annual Conference at the Annual Business Meeting and Awards Presentation and Lunch on Saturday, May 6, 2017. Any voting member of CREIA. The John Daly Award is CREIA's most prestigious recognition. The award recognizes longstanding commitment, contribution, and leadership by an outstanding individual who is a long-time, quality contributor to CREIA and the real estate inspection profession. The recipient is selected by past recipients of the John Daly Award. John Daly was the first president of CREIA and was one of the first inspectors in the state to be active in legislative issues. He was recognized for his wisdom, leadership, and his integrity. He always brought out the best in others. John Daly was a Los Angeles city building inspector for 20 years before founding his business, Certified Home Inspectors. He and his wife Kay raised 5 children. Even after he contracted his illness, John still worked on CREIA projects. Near the end, he was still giving words of encouragement to those with whom he spoke. John was 66 years old when he passed away in August 1988. Each year, the California Real Estate Inspection Association presents its most prestigious token of recognition, the John Daly Award, in appreciation of longstanding commitment, contribution, and leadership to an outstanding individual who is a long-time, quality contributor to CREIA and the real estate inspection profession. Any individual, including individuals who are not members of CREIA. A person who has provided outstanding service to CREIA for 10 or more years. The award recognizes longstanding quality commitment, contribution, and leadership to CREIA and the real estate inspection profession. The recipient is selected by 2/3 vote of the Board. Recipients of the Jerry McCarthy Inspector Fellow Award who are CREIA inspector members receive a lifetime reduction in dues, as established by the Board. Any "newer" CREIA inspector member. 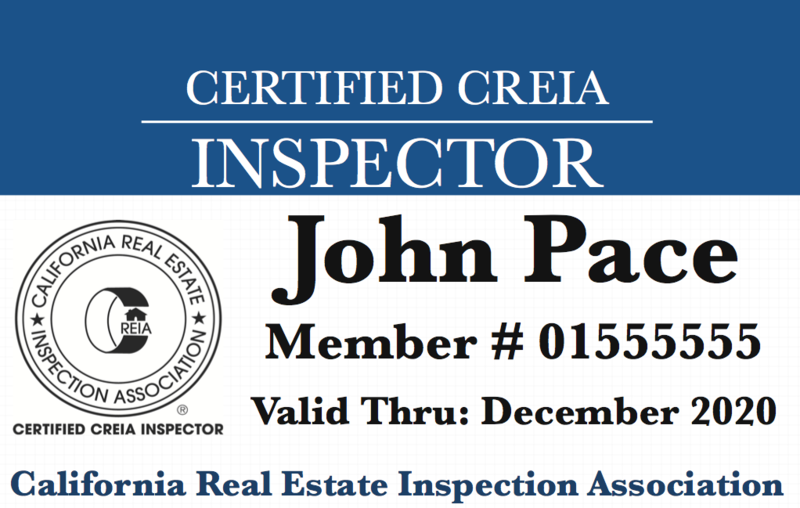 A "newer" CREIA inspector member who has excelled in recent years in contributing to CREIA and the real estate inspection profession. The recipient is selected by majority vote of the Board. Any CREIA member the Chairman wishes to single out for exceptional service and assistance to the Chairman during his/her tenure. The recipient is selected by the Chairman. 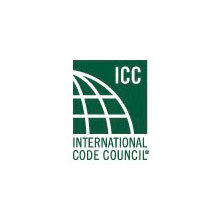 The latest book in the Code Check series is based on the first 10 chapters of the 2015 International Residential Code. The 4th edition has expanded the tables to make the book more usable in the field and contains significant changes to the rules for smoke alarms, fire protection, framing, and wall coverings, as well as changes to the span tables and fastener schedules. Skip Walker has joined the Code Check team as our newest author, and is working on the latest (8th edition) combo book, due out this coming Spring. 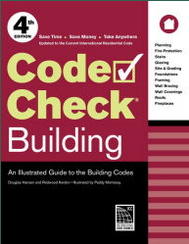 CREIA is selling Code Check Building 4th Edition for $21.95 (Non-member price is $25). A benefit of ordering through CREIA is that it will include a short summary of the changes California makes to the model code, and Doug also repairs a mistake in one of the illustrations. Click here for CREIA's Online Store.